Third parties may place cookies on this site. This is beyond our control. Please be advised. Thanks. Holocaust. Perished in the Shoah. The Loss of a Czech Family 1941-45. These Individuals Lived. Genocide Individualized; Not Just "Group"
The European branch of Czech Family A. The Final Solution, architect: Obergruppenfuhrer Reinhard Heydrict, Protector of Bohemia and Moravia, see new novel HHhH (English translation of HHhH -- Himmler's brain was Heydrich) by Laurent Binet, translated by Sam Taylor, at http://www.nytimes.com/2012/04/29/books/review/hhhh-a-novel-by-laurent-binet.html. How could any of this happened. Find out the mindset, the courses of action and inaction. In 1946, at Nuremberg, German Chief of Staff, Keitel, said that in 1938 the Reich would not have attacked Czechoslovakia if the West had supported Prague. HHhH at p.80. Here, we are tracking the members of the European branch of an entire Czech family, perished in the Holocaust, the Shoah, according to records and the testimonial source laid out here. This is not offered with the precision of a geneology, but to demonstrate this other truth: That horrendous events presented as crowds can fade. Memory, and respect, require individuals. The danger is objectifying those individuals, like specimens, turning what had been individuals into a thing to be examined. No. Not right. Keep it Family A, B, surname C. This family is one example among many. Individuals in this family were sent to many ghettoes and concentration-extermination or slave-labor camps, as listed. A Holocaust-exempt (so far) (American) family and friends. Mom. Front row, second from right. Any guarantee? What persuasion does it take, for people to succeed at a Holocaust against anybody? A. Source and process: Yad Vashem Central Database. This is part of an ongoing memorial and historical documentation effort by a large institution-complex dedicated to that purpose. Yad Vashem collects records and other evidence of the Holocaust, known as the Shoah in Hebrew. Victims' names are part of that work, and are coming online. Yad Vashem receives information, coordinates, and publishes. See ://www.yadvashem.com. 2. inmates at the camps. There may be no cross-reference at all. The person is just lost, no conclusion as to death. Or, remote as it may be, the person indeed got out, found money, passage to somewhere, and went, without leaving a trace, or contacting anyone thereafter. People still hope. C. Testimonials: This is personal good faith information, by identified people. At least, if there is no Nazi record, the Testimonial is there to say that this individual lived. If the last Holocaust record had been that the person had been on a transport or inmate list, there will be an entry by Yad Vashem of presumed death in the summary paragraph as you do the search. The entry will speak with the person's first name. That, in effect, personalizes the entry and lifts it out of mere objective administration detail. Then come the words, most of the time: "Perished in the Shoah;" or "Perished;" where the camp list at liberation did not include the person's name. Jana perished in the Shoah. Karel perished in Majdanek, Camp. D. Survivors. Victims who lived are not included in the database. Their history in the Shoah is their story to tell, if they so choose; and is not the focus of Yad Vashem's database. Yad Vashem welcomes those stories, and evidence, however. The entire memorial effort is ongoing, and huge. E. Memorials and historical record. First, do a Testimonial if you know of someone, and do not see it in the database. Second, keep looking for a person's records at Yad Vashem. New data comes online. A. Other spellings: Records vary. Germans recording Czech; Mis-hearings, Typos. 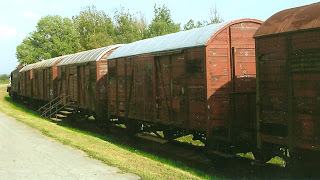 Theresienstadt, Transport Train Stop. 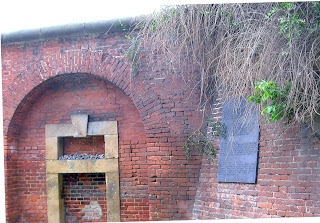 Note memorial stones. Probably deceased before the Holocaust? Karel A -- Not in same line? Robert A - this is a much younger one. Probably deceased by the time of the Holocaust? Is there a Robert A as a child as well? See earlier Robert A entries and check for generations. Two separate Testimonies - is one an update? 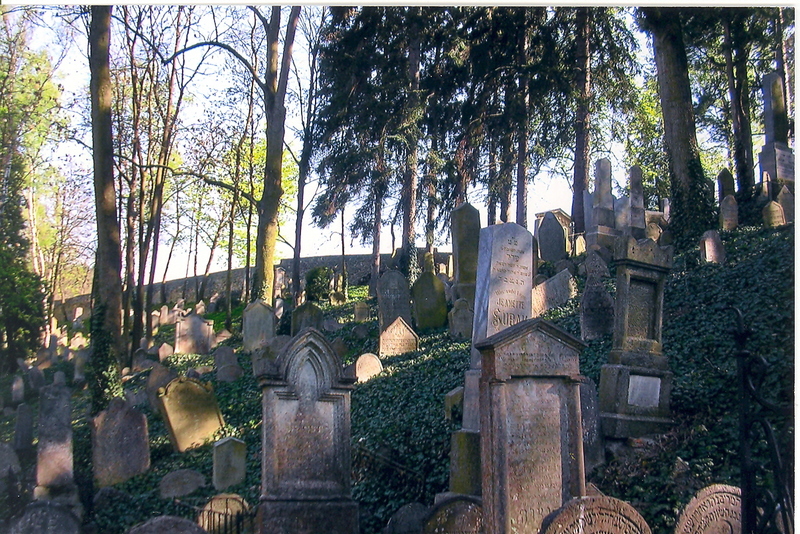 The Jewish population in Trebic was decimated. It never recovered. 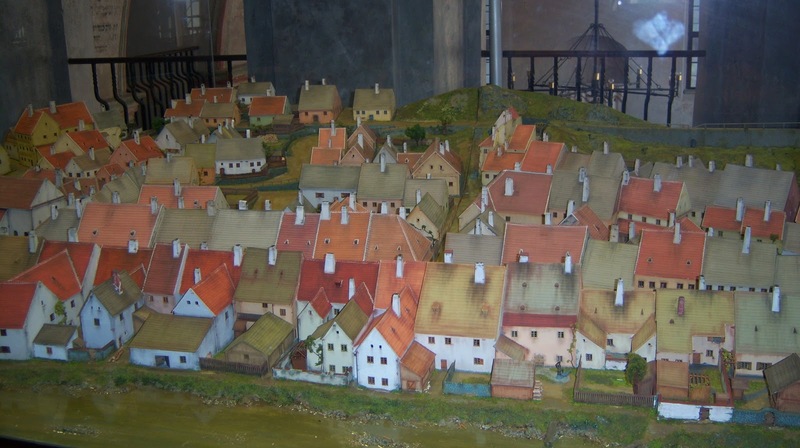 Of 1371 persons deported from the region, including Jihlava, 285 were from the centuries-old Jewish Quarter, Zamosti in Trebic. There had been two synagogues. Other Jews were harassed, persecuted, left. Now? No more Jews. See ://www.radio.cz/en/article/43039/. 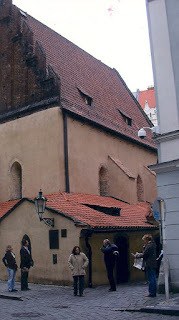 One synagogue, the Front Synagogue, is now used by the Hussites, a protestant reformer-origins religious group. The other, the Rear Synagogue, was used as a storehouse by the Germans, still has Jewish writing on the walls from earlier years, some talk of rehab, but the conversation moves quickly to the big basilica now also World Heritage. The Lodz Ghetto. 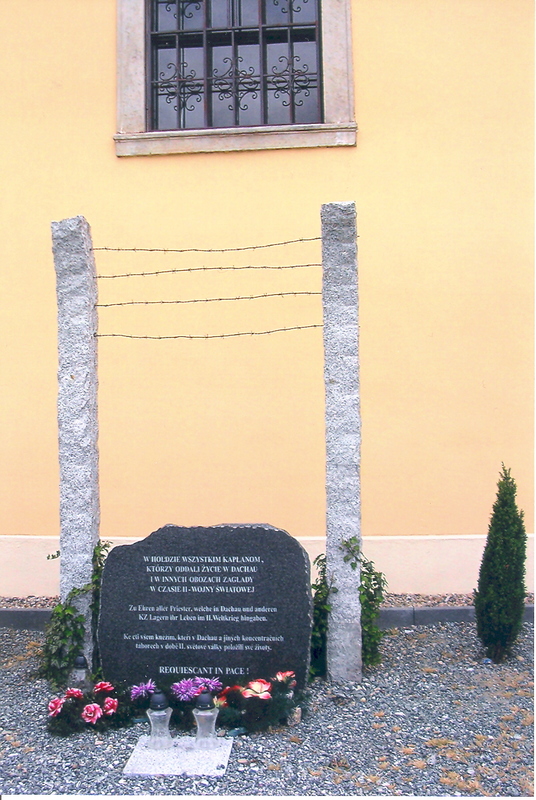 Litzmannstadt Ghetto. Issue: Do the extremes of that generation's groups in power recur: Are there resurgences of those who target other religious and ethnic and distinguishable groups as "Other". Mindset. At that time, it was Jews, Gypsies, the handicapped, the Orthodox in some places, etc. Does that exclusion mindset make the "Other" so "Not One of Us" that they must be against us. If they are against us, then we can conduct killing and recriminations, justified by our projections of "evil", the Other as expendable. Do Inclusives need watchfulness in every country, every day. Look around at a family gathering this year. This tracking-site is your family in Year-Future, perhaps, if those whose sense of self requires exclusion, denigration, and removal of others from their path. It depends on who exerts what power, and succeeds. Is that so. 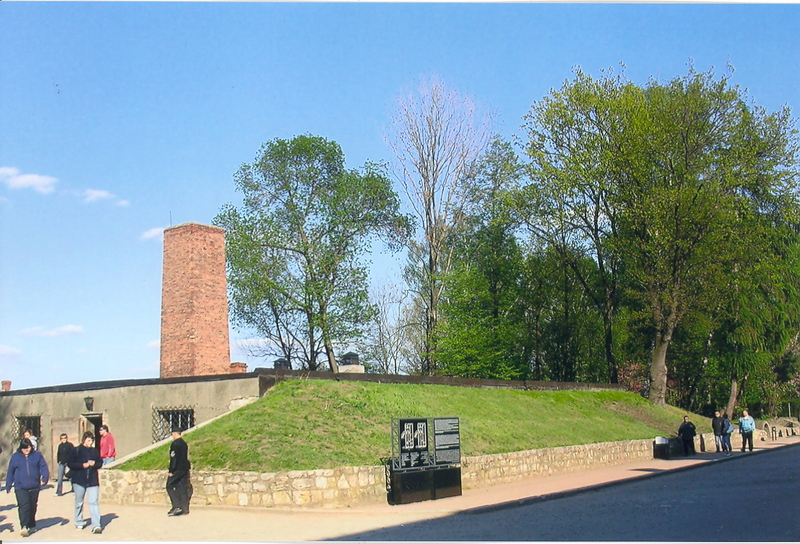 Here is Jan Hus, a statue in an unlikely place: Terezin, or Theresienstadt -- the Nazi-created ghetto / concentration camp-that was staged for purposes of Red Cross inspections as an ideal settlement place for Jews. In reality, it was a holding pen, a way station to Auschwitz-Birkenau. He and his followers saw themselves as Christian, and devout. Their disagreement was not with the theology of the Church, but with its implementation of authority. His thought preceded the reform movement of Martin Luther. Some of his followers fled to Germany and Poland. 6. When accused of heresy, undermining the authority of the church, he said he would obey the Church if the Church could prove that what he said was error. That did it. He put his own ability to interpret scripture ahead of the Church power to do so, and in 1418 he was executed. Terezin On Stage - "Way to Heaven".. Theresienstadt. On stage: "Way to Heaven." A play by Juan Mayorga about the important Nazi staging aspect of Terezin, concentration camp billed as a settlement. For inspectors from the Red Cross in WWII, see the well-fed little children and happily working adults in fine conditions. And music, even. A New York Times calls it "a fake utopia," notes the "synthetic contentment." See ://theater2.nytimes.com/2009/05/20/theater/reviews/20heav.html/. The playwright is Spanish. The play is offered in Spanish on alternate nights, adding to a universality concept in the issues, if not as to the actual nationality of persons kept, and shipped to Auschwitz and death camps from there. Emerging themes: how we are duped, how we fail to act on hunches while being duped - liking the duping - and the clash of public view vs. concealed reality. Subtlety and daring prevail over the right. A Place of Death, Deceit, and Music? Sometimes it takes an obituary to fill in history not told elsewhere. And about a neighbor. And opera and symphonic works in a concentration camp. Here, we learn from the New York Times in 2008 (October 7, we think) that one Josa Karas died. He was born in 1926 in Warsaw, and apparently lived in Czechoslovakia. He collected the music of those imprisoned, many killed, at Terezein 1941-1941. He was 82, not a Jew, and apparently lived in nearby Bloomfield, here in the US. He began teaching at the University of Hartford's Hartt School of Music in 1955. We never knew. Obituary by Douglas Martin. Karas wrote the book, "Music in Terezin 1941-1945." The work of the composers was actually done in Terezin, that we visited and saw as a converted old army garrison with barracks with substantial brick walls and a grid of streets intersecting in orderly ways, in service in different capacities for several centuries. He collected 50 compositions, and those have been performed often. There were four concert orchestras there, many chamber groups, and an opera group - fodder for the Nazi propaganda about the fine conditions for living there. When the Red Cross came to inspect, see "The Red Cross Visit to Theresienstadt," photos and text at ://www.scrapbookpages.com/czechrepublic/theresienstadt/theresienstadtghetto/history/redcrossvisit.html/, the old and sick were gassed. Flowers appeared in boxes, and there was a new "chocolate shop." 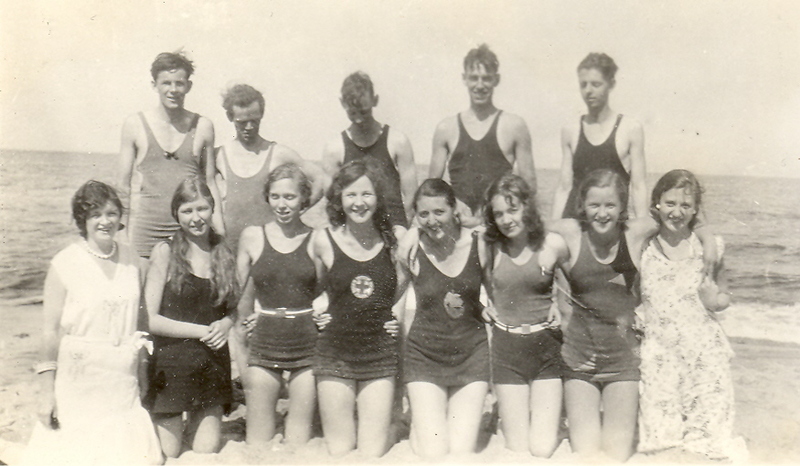 The Red Cross was duly impressed and wrote a report of good conditions there for temporary housing for Jews. See a propaganda film itself, at YouTube at http://www.youtube.com/watch?v=OlIMAJF3kic, a "documentary" -"Theresienstadt: Ein Dokumentarfilm aus dem judischen Seidlun." This may be a portion of a larger film on Auschwitz? 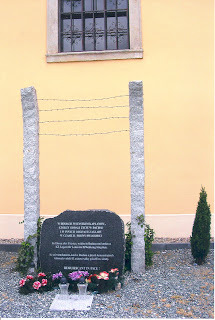 Read at that site the history of Theresienstadt, its early history, and death statistics. Mr. Karas did a revision for performances, and presented it in Czech in 1975, and in English in 1977. The story: two children, thwarted in getting milk for their ailing mother by an evil organ grinder. The obituary ends with a quotation from Mr. Karas: "When I started my research, I used to have nighmares. And guilt. I'd pick up a piece of chocolate and couldn't eat it." 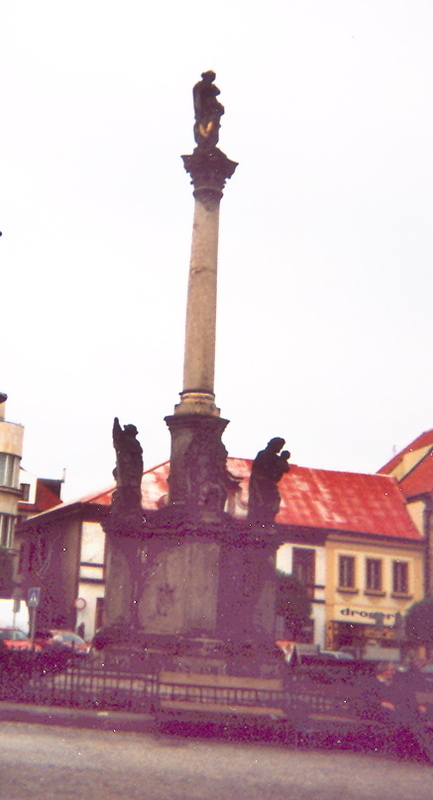 Then he got over it, saying that Czechs can get used to anything, even the gallows. Ceske Budejovice, or Cesky Budejovice. American Budweiser Out. European Budweiser In. At least, as to use of the name "Budweiser" in some European markets. Then, visit the town itself. 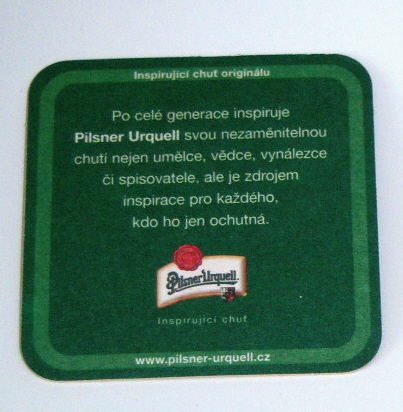 b) it has to be made in the town in the Czech Republic called Budvar or Budweis - or Budejovice here. Names and their spellings vary with the phonetics, the linguistic roots being applied. They probably can have their breweries also in other places, but the Budweis town and the Budweiser name stemming from it are basic. Names portraying origins are given Respect. The name cannot be used by just anyone, even if patented later elsewhere, under different laws. Because this beer is made in Budvar, or Budweis in German (recall the days of fluid boundaries, the overlap of languages depending on dominant influences), it is entitled to use the name "Budweiser." The brewer also wisely patented the name in Europe decades ago, after centuries of use. Our Budweiser" beer (courtesy of USA's Anheuser-Busch) from the US meets neither requirement, so cannot be marketed at Budweiser in much of Europe - not made in Budvar, and some ingredients to not make the cut. 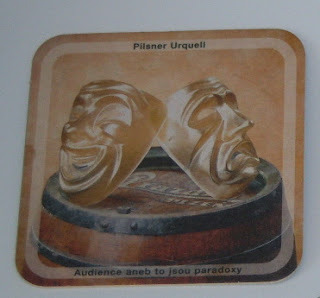 See Joy of Equivocating, Beer and the Cities, Cindy McCain, Budweiser. The town is more than its beer. 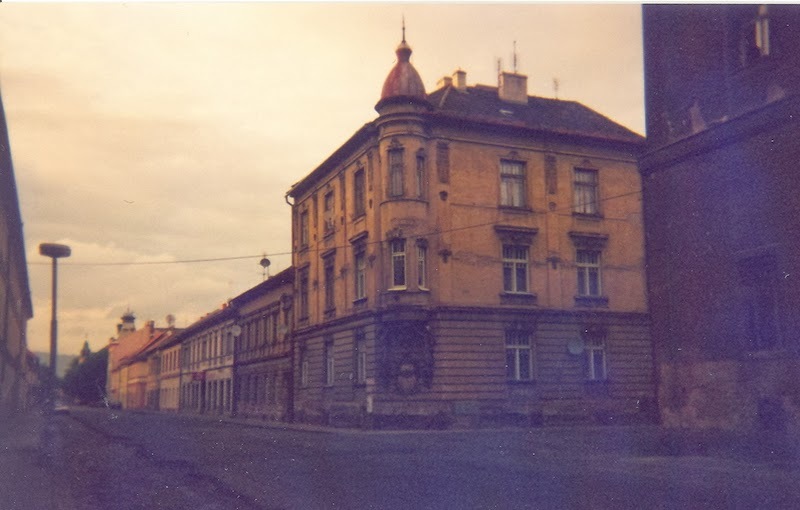 See the castle here - begun at the time of Bohemian Wenceslas I, see Nationmaster Encyclopedia at ://www.nationmaster.com/encyclopedia/Wenceslas-I-of-Bohemia. Its renovations and additions continued to Gothic to Renaissance to Baroque to Neo-Gothic. 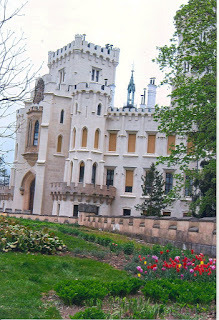 See ://www.castles.org/castles/Europe/Central_Europe/Czech_Republic/czech.htm. Many castles begin in the mists, then undergo so many architectural changes as fads come and go, and rulers come and go, that there is little semblance left of the earliest. Some sites do not mention Wenceslas I, but the early date seems to be 11th-12th centuries. The exterior is so freshly redone, as to look new. 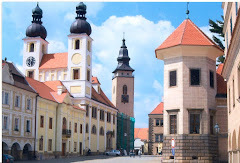 Nearby is the town of Budweis, or Cesky Budejovice - Ceske Budejovice - home of Budvar Beer - Budweiser to you, see ://www.virtourist.com/europe/budejovice/index.html but no similarity in taste - very refined over there. We recall seeing some arrangement on using the name in both countries, US and CZ, but need to check. Pun pun. Excellent place to park and walk in the big square and eat. Always eat. Budweiser and Americans: Back to basics. The American beer company is the origin of the fortune shared by inheritance by many, including Senator John McCain's wife, Cindy. See the Joy of Equivocating site above. Taste test. Budvar is indeed superior. Do your own scientific trials. Apparently there were years of litigating who could use the name "Budweiser" - the Budvars or not. And so the bottles of each show the separate identities. 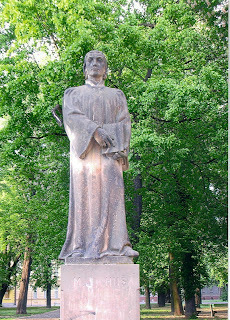 See ://en.wikipedia.org/wiki/Bud%C4%9Bjovick%C3%BD_Budvar for the story of Budejovicky Budvar, or Budejovice Budvar. American Budweiser has blitzed the advertising, however, so American Budweiser is popular, but to purists, it is not "beer" at all with its additives including, gasp, rice.